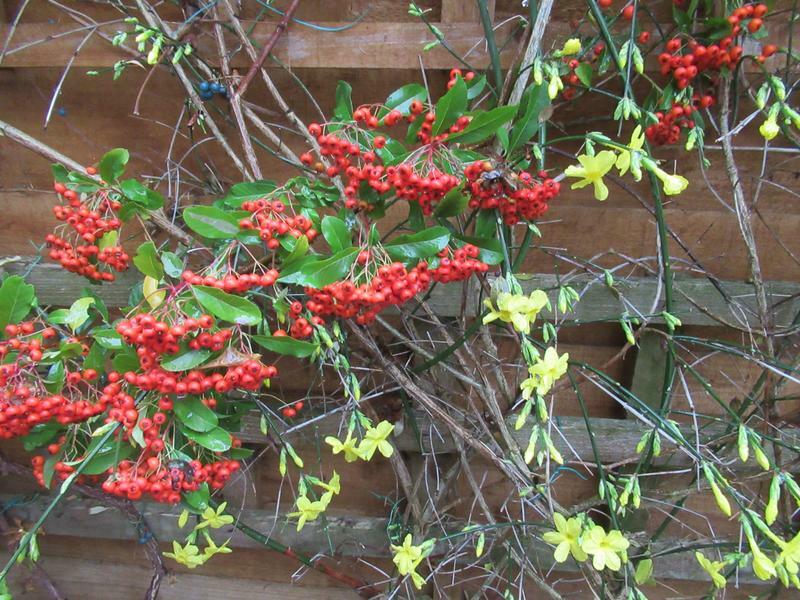 The red pyracantha berries are still looking pristine and next to the winter flowering jasmine are giving a splash of winter colour. A warm splash of colour on a dull and damp day. I love the red and yellow together.